This 1 light sconce highlights a clear ribbed glass shade with cut corners to match contemporary dicor. The vanity bar can be mounted up or down to suit your personal style. The fixture is finished in oil rubbed bronze which matches most home styles. Requires 1 - 60 watt medium bulbs. 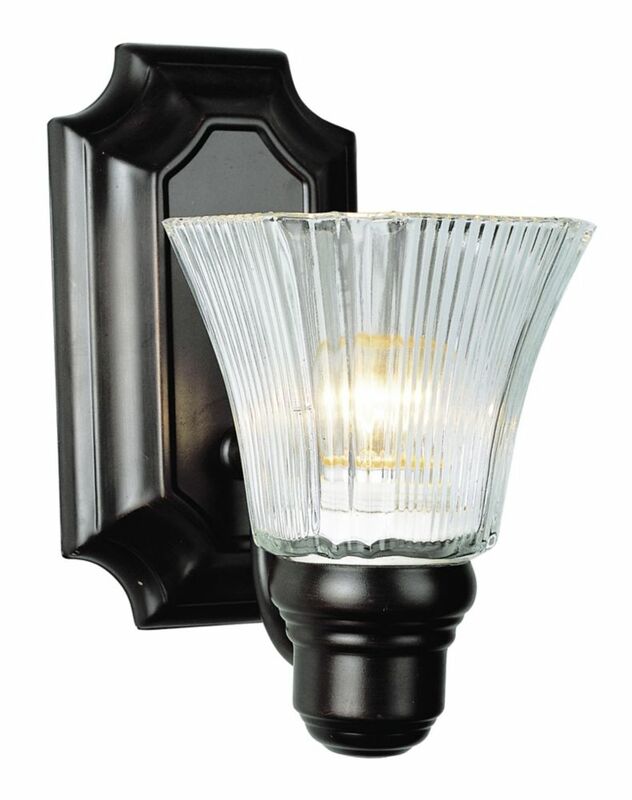 1- Light Oil Rubbed Bronze Sconce This 1 light sconce highlights a clear ribbed glass shade with cut corners to match contemporary dicor. The vanity bar can be mounted up or down to suit your personal style. The fixture is finished in oil rubbed bronze which matches most home styles.